Metal finishing business providing over 20 types of finishes to complete projects for businesses of all sizes. This business does a great deal of subcontract work for direct contractors for the aerospace and military industries. Stellar financial performance through the economic downturn. Quality, on-time job completion and Customer Service are the three most important priorities for the employees in this business. Exceptional turn around on orders keep all their customers satisfied. This offering is structured as an asset sale. This is neither an offer nor a solicitation to sell securities. Real Estate Brokerage License on file. For more information, please contact Gateway Mergers & Acquisitions at 972-219-6961. 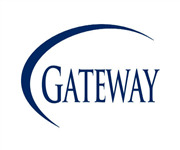 For more about the buying process, go to www.GatewayMA.com. Full time production manager handles the daily operations. Owner supervises all financial aspects of the business. Highly desirable customer list with many long term customers. Very passive marketing program in place. Excellent opportunity for a marketing minded person to implement a proactive marketing plan to grow the size of the customer base. Owner and management will provide 30-60 days combined on-site training and telephone/email consulting included in the purchase price.